Heal kid’s (and Mom’s) colds faster! 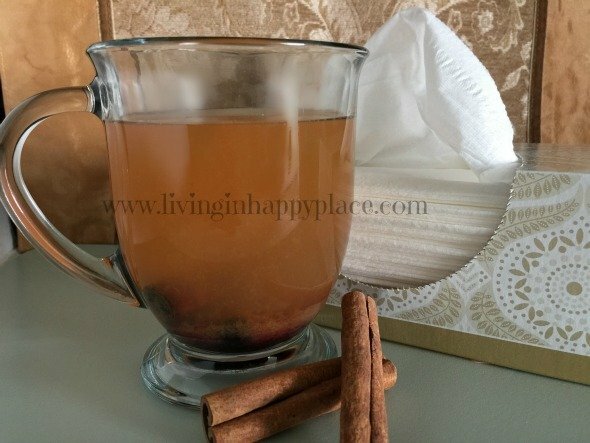 Try this all natural healing tea cold remedy! I have a head cold. Moms don’t get a day off so I need to get better fast. The only thing worse than a sick Mom is a sick kid. The minute your kids are not running around the house yelling and playing- you know something is wrong. They drive us crazy sometimes, but the minute they are lying on the couch with a fever we would give anything to see them up running around. The cold has made it thorough my house to the daughter who gets a high fever every time she gets sick. Time for cold remedy healing tea and humidifiers! 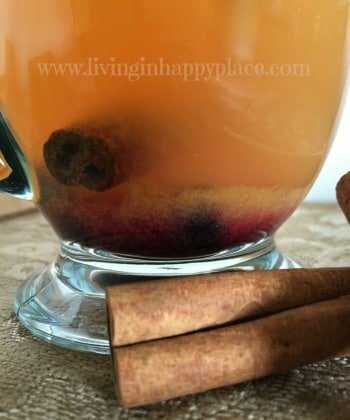 So if you or your child is feeling sick, turn on your humidifier, put on your pjs, and drink this all natural tea. Add 2 cups of water to pot on medium heat. Just as the water starts to boil, add tea bags, boil one minute, then reduce heat to simmer. Add cinnamon stick, vinegar, and honey (if using honey) and let simmer 3-5 minutes. If you are using the garlic sliver, add it now and let simmer for 1-3 minutes then remove. While the tea is simmering, squeeze your orange and pour juice into a mug. Add blueberries to the mug. After 3-5 minutes, remove pot from the heat and dispose of tea bags . Allow 2 minutes to cool to a comfortable drinking temperature then add to the orange/blueberry mug (pour over a colander if needed). You can leave the cinnamon stick to seep or remove it (your preference). This tea is also great cold! Make up a batch and leave it in the fridge for 4+ hours. I am so addicted to this the that I have been drinking it everyday as a cold drink. It is delicious and full of natural, healthy ingredients!!! 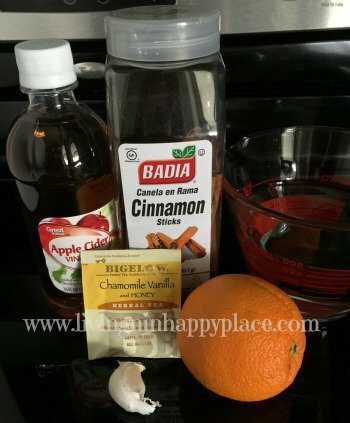 It’s a great way to boost your immune system during cold/flu season. I drink two mugs per day while I am sick (just double the recipe). For my toddlers, I omit the garlic and honey, water it down a bit, and serve at room temperature. They drink a little less than one full recipe per day. Always defer to your child’s physician with any questions or concerns about their health or dietary needs. Tea bags– you can use one chamomile and one green tea bag (or any combo of tea you prefer). I don’t use caffeinated tea bags for the kids but for myself I do use one green tea bag and one chamomile tea bag. Garlic– Garlic has awesome anti-inflammatory properties. Using just a sliver minimizes the taste then the orange flavor pretty much hides it altogether. If you typically do not like garlic, you can certainly omit it. If garlic doesn’t bother you, it is worth the anti-inflammatory properties to leave it in. The ingredients aren’t just tasty; they were chosen for their immunity and healing properties. You don’t have to be sick to drink this! It’s full of healthy, natural ingredients and it is delicious! 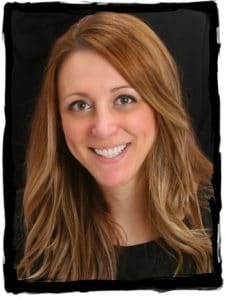 Heal kids (and Moms’) colds faster! 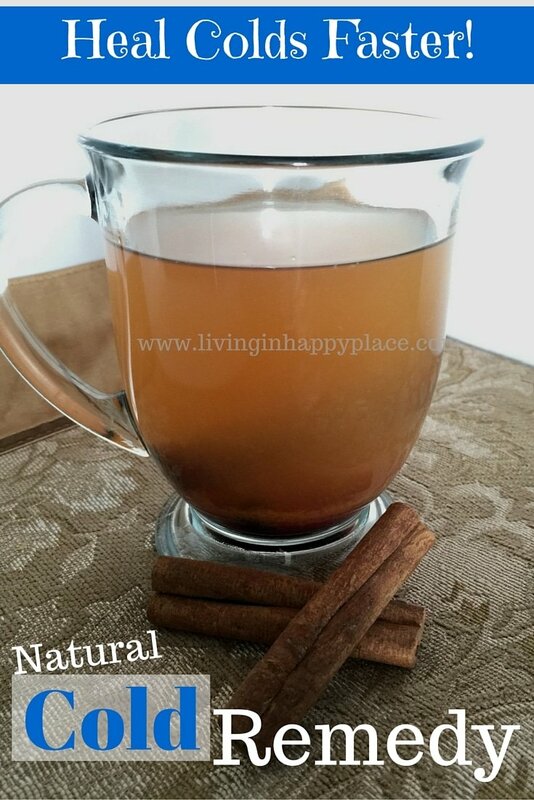 Try this all natural healing tea cold remedy! Add 2 cups of water to pot on medium heat. Just as the water starts to boil, add tea bags, boil one minute, then reduce heat to simmer. Add cinnamon stick, vinegar, and honey (if using honey) and let simmer 3-5 minutes. If you are using the garlic sliver, add it now and let simmer for 1-3 minutes then remove. While the tea is simmering, squeeze your orange and pour juice into a mug. Add blueberries to the mug. After 3-5 minutes, remove pot from the heat and dispose of tea bags. Allow 2 minutes to cool to a comfortable drinking temperature then add to the orange/blueberry mug. 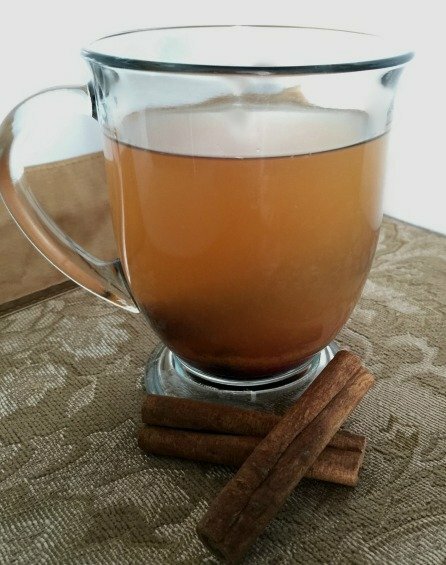 You can leave the cinnamon stick for extra cinnamon flavor or remove it if you prefer. Not familiar with Yummly? It’s an awesome, easy to use recipe site! Read more here: Do you Yum? Disclaimer: I do not claim that this tea will cure or prevent any cold or disease. I am simply sharing my experience. I am not a doctor, nurse, or any other professional which would qualify me to give you medical advice. Always talk to your doctor about medical concerns. What comforts you when you are sick? Do you have a favorite natural cold remedy? Please leave a comment and share! This is awesome! My youngest is really getting into hot tea and with the seasons changing, I’ve noticed her sniffling a lot more. It’s one of those, is she getting sick or is it allergies type of thing. I’m going to make this tea for her! I bet she’d love it! Thanks for sharing your post on Simply Sundays link up party! Can’t wait to try this! I hope she is felling better soon! This tea is just packed with vitamins so I’m sure it will give her an immune boost. I hope she loves it as much as my kids do!